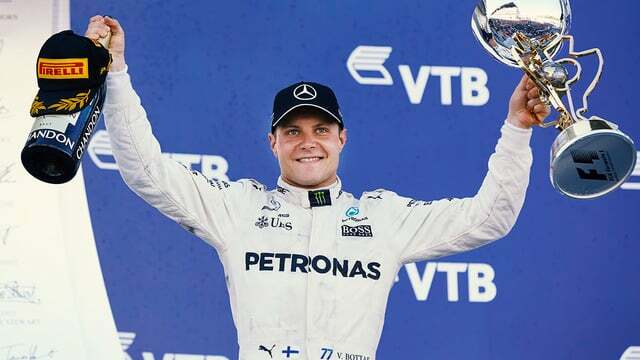 Valtteri Bottas muscled past both the Ferrari drivers off the line in Sochi to take the lead of the race. He survived a safety car period, the tense one-stop strategy, as well as a late charge from Sebastian Vettel, to take his first victory in Formula One, after more than 80 races. A well-earned win, the Finn was joined on the podium by Vettel and Räikkönen, with Lewis Hamilton finishing a distant and disappointed fourth. Meanwhile, Fernando Alonso didn’t manage to finish even the formation lap before his Honda engine gave up. On the first lap, Romain Grosjean and Jolyon Palmer collided, knocking both cars out of the race. Each blamed the other but the stewards deemed it a racing incident. The only other retirement was Daniel Ricciardo, whose brakes gave up after just seven laps. Lance Stroll did manage to see the chequered flag, however, finishing in 11th place just outside the points. Ahead of him, both the Force India drivers picked up points, with Max Verstappen, Nico Hülkenberg and Felipe Massa also inside the top ten.